Every day except Saturdays , there is at least one ferry departing from Amorgos to Athens (Port of Piraeus), during low season. During summer, there are ferry itineraries all days of the week. 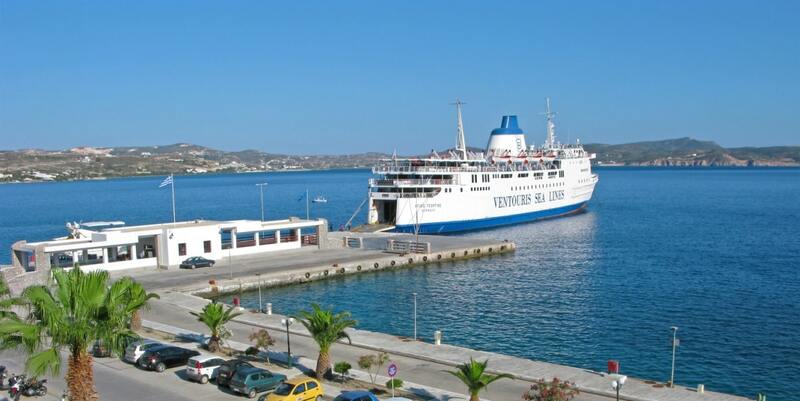 The trip from Amorgos to Athens usually takes from 6.20 to 10 hours. When it comes to low season the departures times are usually early in the morning, but during high season, the departure time varies, so there are more options.. An average ticket price goes from € 20.00 to € 60.00, but as this is a long trip, you should consider the option of booking Bed Cabins. The departures and arrivals are available in different combinations, thanks to the existence of two portsin Amorgos (Port of Aegiali and Port of Katapola) as well as two different ports at Athens (Port of Piraeus and Port of Rafina). In this page you will be able to see more about the different port combinations between Amorgos and Athens. From which port am I departing and to which port am I arriving? During low seasons, most of the departures are from the Port of Katapola in Amorgos and all the arrivals are at the Port of Piraeus at Athens. The departures from Aegiali normally happen at Thursdays and Fridays. Keep in mind that during winter usually there aren’t any departures at Saturdays from Amorgos to Athens. During high seasons, there are departures from the Port of Katapola as much as from the Port of Aegiali. Also, there are arrivals at the Port of Piraeus and the Port of Rafina, so there is a great variety of options. The travellers should pay lot of attention when it comes to the identification of which ports are they departing from and arriving at. Anyhow, the travellers should pick the ferry that departs form the port that corresponds better with their planning dates and hours. While booking your ferry ticket, the tools from ferryhopper.com are always helpful and clear about the identification of the ports and at our website you can even choose to do searches betweenspecific ports. What is the trip duration from Amorgos to Athens? Amorgos is about 320 km from Athens and usually the ferry trip lasts from 6.20 to 10 hours. The ferry route from Amorgos to Athens is an amazing opportunity to admire the aegean sea from the deck. Keep in mind that almost every summer you can find night itineraries connecting Amorgos and Athens. Island hopping around Amorgos is an amazing idea! Check our Ferry Map to discover nearby islands. More information about Amorgos you can find here.